Medieval Christians largely held the Jewish people collectively responsible for killing Jesus, through the so-called blood curse of Pontius Pilate in the Gospels. 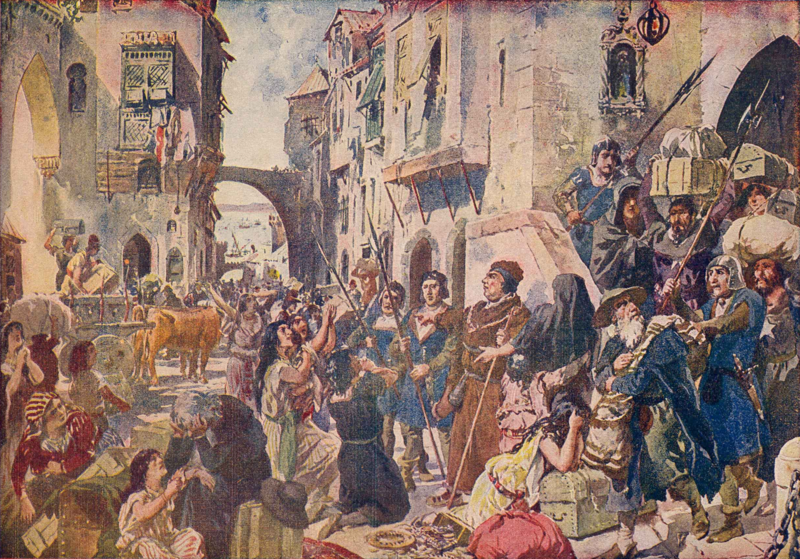 Early instances of pogroms against Jews are recorded in the context of the First Crusade. Expulsion of Jews from cities and instances of blood libel become increasingly common in the 13th to 15th centuries. This trend peaked only after the end of the medieval period, and subsided only with Jewish emancipation in the late 18th to 19th century. In the Middle Ages, religion played a major role in driving anti-Semitism. Though not part of Roman Catholic dogma, many Christians, including members of the clergy, have held the Jewish people collectively responsible for killing Jesus, through the so-called blood curse of Pontius Pilate in the Gospels, among other things. This accusation was repudiated in 1964, when the Catholic Church under Pope Paul VI issued the document Nostra aetate as a part of Vatican II. Among socio-economic factors were restrictions by the authorities. Local rulers and church officials closed many professions to the Jews, pushing them into marginal occupations considered socially inferior, such as tax and rent collecting and money-lending, tolerated them as a “necessary evil”. Catholic doctrine of the time held that lending money for interest was a sin, and forbidden to Christians. Not being subject to this restriction, Jews dominated this business. The Torah and later sections of the Hebrew Bible criticise usury but interpretations of the Biblical prohibition vary (the only time Jesus used violence was against money changers taking a toll to enter temple). 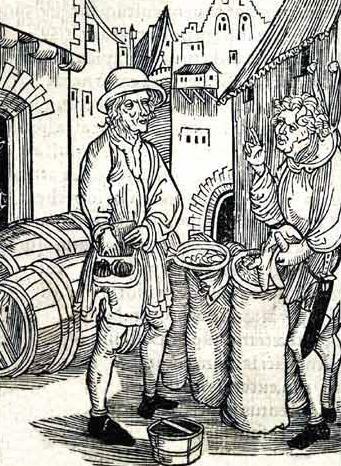 Since few other occupations were open to them, Jews were motivated to take up money lending. This was said to show Jews were insolent, greedy, usurers, and subsequently led to many negative stereotypes and propaganda. Natural tensions between creditors (typically Jews) and debtors (typically Christians) were added to social, political, religious, and economic strains. Peasants who were forced to pay their taxes to Jews could personify them as the people taking their earnings while remaining loyal to the lords on whose behalf the Jews worked. As the Black Death epidemics devastated Europe in the mid-14th century, annihilating more than a half of the population, Jews were taken as scapegoats. Rumors spread that they caused the disease by deliberately poisoning wells. Hundreds of Jewish communities were destroyed by violence, in particular in the Iberian peninsula and in the Germanic Empire. In Provence, 40 Jews were burnt in Toulon as soon as April 1348. “Never mind that Jews were not immune from the ravages of the plague ; they were tortured until they confessed to crimes that they could not possibly have committed. In one such case, a man named Agimet was … coerced to say that Rabbi Peyret of Chambéry (near Geneva) had ordered him to poison the wells in Venice, Toulouse, and elsewhere. In the aftermath of Agimet’s “confession”, the Jews of Strasbourg were burned alive on February 14, 1349. From around the 12th century through the 19th there were Christians who believed that some (or all) Jews possessed magical powers; some believed that they had gained these magical powers from making a deal with the devil. On many occasions, Jews were accused of a blood libel, the supposed drinking of blood of Christian children in mockery of the Christian Eucharist. According to the authors of these blood libels, the ‘procedure’ for the alleged sacrifice was something like this: a child who had not yet reached puberty was kidnapped and taken to a hidden place. The child would be tortured by Jews, and a crowd would gather at the place of execution (in some accounts the synagogue itself) and engage in a mock tribunal to try the child. The child would be presented to the tribunal naked and tied and eventually be condemned to death. In the end, the child would be crowned with thorns and tied or nailed to a wooden cross. The cross would be raised, and the blood dripping from the child’s wounds would be caught in bowls or glasses and then drunk. Finally, the child would be killed with a thrust through the heart from a spear, sword, or dagger. Its dead body would be removed from the cross and concealed or disposed of, but in some instances rituals of black magic would be performed on it. The story of William of Norwich (d. 1144) is often cited as the first known accusation of ritual murder against Jews. The Jews of Norwich, England were accused of murder after a Christian boy, William, was found dead. It was claimed that the Jews had tortured and crucified their victim. The legend of William of Norwich became a cult, and the child acquired the status of a holy martyr. Recent analysis has cast doubt on whether this was the first of the series of blood libel accusations but not on the contrived and antisemitic nature of the tale. During the Middle Ages blood libels were directed against Jews in many parts of Europe. The believers of these accusations reasoned that the Jews, having crucified Jesus, continued to thirst for pure and innocent blood and satisfied their thirst at the expense of innocent Christian children. Following this logic, such charges were typically made in Spring around the time of Passover, which approximately coincides with the time of Jesus’ death. The story of Little Saint Hugh of Lincoln (d. 1255) said that after the boy was dead, his body was removed from the cross and laid on a table. His belly was cut open and his entrails were removed for some occult purpose, such as a divination ritual. The story of Simon of Trent (d. 1475) emphasized how the boy was held over a large bowl so all his blood could be collected. Jews were sometimes falsely accused of desecrating consecrated hosts in a reenactment of the Crucifixion; this crime was known as host desecration and carried the death penalty. 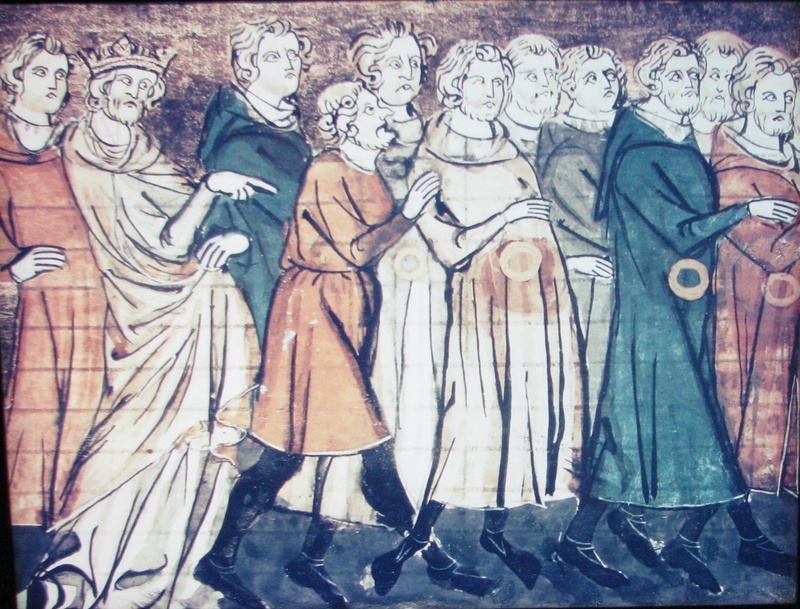 Jews were subject to a wide range of legal disabilities and restrictions throughout the Middle Ages, some of which lasted until the end of the 19th century. Jews were excluded from many trades, the occupations varying with place and time, and determined by the influence of various non-Jewish competing interests. Often Jews were barred from all occupations but money-lending and peddling, with even these at times forbidden. The number of Jews permitted to reside in different places was limited; they were concentrated in ghettos, and were not allowed to own land; they were subject to discriminatory taxes on entering cities or districts other than their own, were forced to swear special Jewish Oaths, and suffered a variety of other measures, including restrictions on dress. The Fourth Lateran Council in 1215 was the first to proclaim the requirement for Jews to wear something that distinguished them as Jews. It could be a coloured piece of cloth in the shape of a star or circle or square, a Jewish hat (already a distinctive style), or a robe. In many localities, members of medieval society wore badges to distinguish their social status. Some badges (such as guild members) were prestigious, while others ostracised outcasts such as lepers, reformed heretics and prostitutes. The local introduction and enforcement of these rules varied greatly. Jews sought to evade the badges by paying what amounted to bribes in the form of temporary “exemptions” to kings, which were revoked and re-paid whenever the king needed to raise funds. The mobs accompanying the First Crusade, and particularly the People’s Crusade of 1096, attacked the Jewish communities in Germany, France, and England, and put many Jews to death. Entire communities, like those of Treves, Speyer, Worms, Mainz, and Cologne, were slain during the first Crusade by a mob army. About 12,000 Jews are said to have perished in the Rhenish cities alone between May and July 1096. Before the Crusades the Jews had practically a monopoly of trade in Eastern products, but the closer connection between Europe and the East brought about by the Crusades raised up a class of merchant traders among the Christians, and from this time onward restrictions on the sale of goods by Jews became frequent. 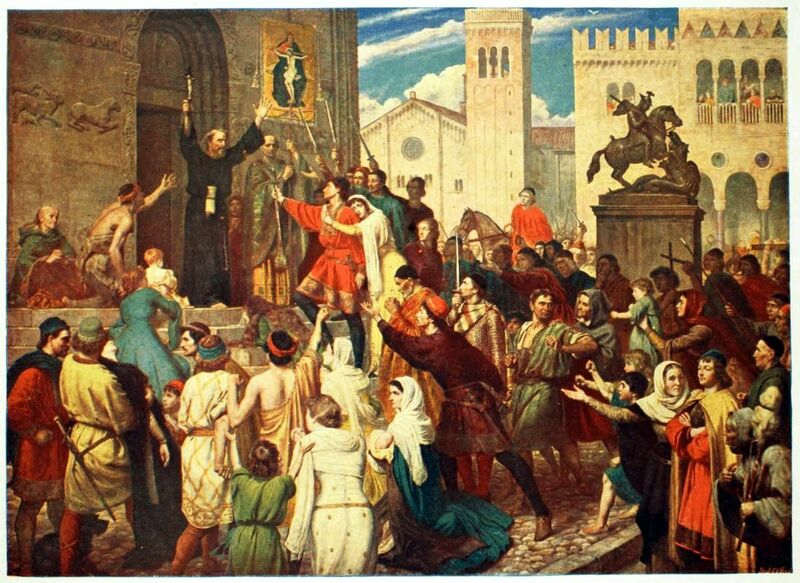 The religious zeal fomented by the Crusades at times burned as fiercely against the Jews as against the Muslims, though attempts were made by bishops during the First crusade and the papacy during the Second Crusade to stop Jews from being attacked. Both economically and socially the Crusades were disastrous for European Jews. They prepared the way for the anti-Jewish legislation of Pope Innocent III, and formed the turning point in the medieval history of the Jews. In the County of Toulouse (now part of southern France) Jews were received on good terms until the Albigensian Crusade. Toleration and favour shown to the Jews was one of the main complaints of the Roman Church against the Counts of Toulouse. Following the Crusaders’ successful wars against Raymond VI and Raymond VII, the Counts were required to discriminate against Jews like other Christian rulers. In 1209, stripped to the waist and barefoot, Raymond VI was obliged to swear that he would no longer allow Jews to hold public office. In 1229 his son Raymond VII, underwent a similar ceremony where he was obliged to prohibit the public employment of Jews, this time at Notre Dame in Paris. Explicit provisions on the subject were included in the Treaty of Meaux (1229). 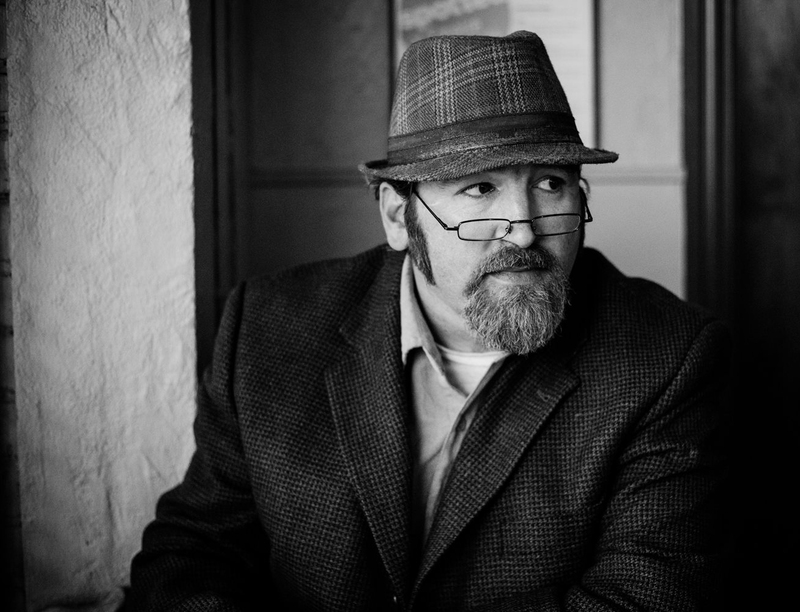 By the next generation a new, zealously Catholic, ruler was arresting and imprisoning Jews for no crime, raiding their houses, seizing their cash, and removing their religious books. They were then released only if they paid a new “tax”. 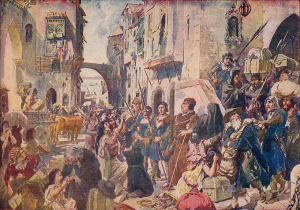 A historian has argued that organised and official persecution of the Jews became a normal feature of life in southern France only after the Albigensian Crusade because it was only then that the Church became powerful enough to insist that measures of discrimination be applied. In the Middle Ages in Europe persecutions and formal expulsions of Jews were liable to occur at intervals, although it should be said that this was also the case for other minority communities, whether religious or ethnic. There were particular outbursts of riotous persecution in the Rhineland massacres of 1096 in Germany accompanying the lead-up to the First Crusade, many involving the crusaders as they travelled to the East. There were many local expulsions from cities by local rulers and city councils. In Germany the Holy Roman Emperor generally tried to restrain persecution, if only for economic reasons, but he was often unable to exert much influence. As late as 1519, the Imperial city of Regensburg took advantage of the recent death of Emperor Maximilian I to expel its 500 Jews. The practice of expelling the Jews accompanied by confiscation of their property, followed by temporary readmissions for ransom, was utilized to enrich the French crown during 12th-14th centuries. The most notable such expulsions were: from Paris by Philip Augustus in 1182, from the entirety of France by Louis IX in 1254, by Charles IV in 1306, by Charles V in 1322, by Charles VI in 1394. To finance his war to conquer Wales, Edward I of England taxed the Jewish moneylenders. When the Jews could no longer pay, they were accused of disloyalty. 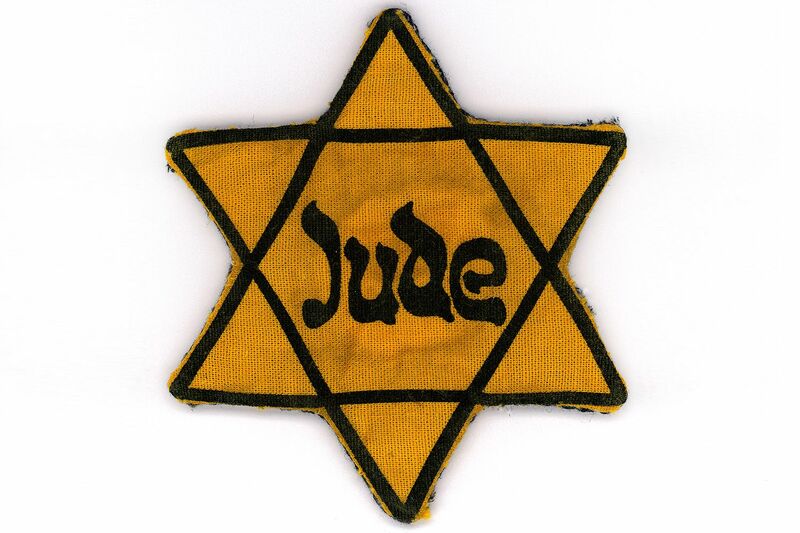 Already restricted to a limited number of occupations, the Jews saw Edward abolish their “privilege” to lend money, choke their movements and activities and were forced to wear a yellow patch. The heads of Jewish households were then arrested, over 300 of them taken to the Tower of London and executed, while others killed in their homes. The complete banishment of all Jews from the country in 1290 led to thousands killed and drowned while fleeing and the absence of Jews from England for three and a half centuries, until 1655, when Oliver Cromwell reversed the policy. In 1492, Ferdinand II of Aragon and Isabella I of Castile issued General Edict on the Expulsion of the Jews from Spain and many Sephardi Jews fled to the Ottoman Empire, some to Palestine. The Kingdom of Portugal followed suit and in December 1496, it was decreed that any Jew who did not convert to Christianity would be expelled from the country. However, those expelled could only leave the country in ships specified by the King. When those who chose expulsion arrived at the port in Lisbon, they were met by clerics and soldiers who used force, coercion, and promises in order to baptize them and prevent them from leaving the country. This period of time technically ended the presence of Jews in Portugal. Afterwards, all converted Jews and their descendants would be referred to as “New Christians” or Marranos (lit. “pigs” in Spanish), and they were given a grace period of thirty years in which no inquiries into their faith would be allowed; this was later to be extended to end in 1534. A popular riot in 1504 would end in the death of two thousand Jews; the leaders of this riot were executed by Manuel. In 1744, Frederick II of Prussia limited Breslau to only ten so-called “protected” Jewish families and encouraged similar practice in other Prussian cities. In 1750 he issued Revidiertes General Privilegium und Reglement vor die Judenschaft: the “protected” Jews had an alternative to “either abstain from marriage or leave Berlin” (quoting Simon Dubnow). In the same year, Archduchess of Austria Maria Theresa ordered Jews out of Bohemia but soon reversed her position, on condition that Jews pay for readmission every ten years. This extortion was known as malke-geld(queen’s money). In 1752 she introduced the law limiting each Jewish family to one son. In 1782, Joseph II abolished most of persecution practices in his Toleranzpatent, on the condition that Yiddish and Hebrew are eliminated from public records and judicial autonomy is annulled. Moses Mendelssohn wrote that “Such a tolerance… is even more dangerous play in tolerance than open persecution”. Martin Luther, an Augustinian monk and an ecclesiastical reformer whose teachings inspired the Protestant Reformation, wrote antagonistically about Jews in his book On the Jews and their Lies, which describes the Jews in extremely harsh terms, excoriates them, and provides detailed recommendations for a pogrom against them and their permanent oppression and/or expulsion. 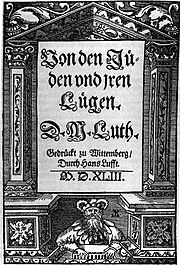 At one point in On the Jews and Their Lies, Martin Luther goes even as far to write “that we are at fault in not slaying them.” According to Paul Johnson, it “may be termed the first work of modern anti-Semitism, and a giant step forward on the road to the Holocaust.” In his final sermon shortly before his death, however, Luther preached “We want to treat them with Christian love and to pray for them, so that they might become converted and would receive the Lord.” Still, Luther’s harsh comments about the Jews are seen by many as a continuation of medieval Christian anti-Semitism. Paley, Susan and Koesters, Adrian Gibbons, eds. “A Viewer’s Guide to Contemporary Passion Plays” Archived March 1, 2011, at the Wayback Machine., accessed March 12, 2006. Hertzberg, Arthur and Hirt-Manheimer, Aron. Jews: The Essence and Character of a People, HarperSanFrancisco, 1998, p.84. Bennett, Gillian (2005), “Towards a revaluation of the legend of ‘Saint’ William of Norwich and its place in the blood libel legend”. Folklore, 116(2), pp 119-21. Ben-Sasson, H.H., Editor; (1969). A History of The Jewish People. Harvard University Press, Cambridge, Massachusetts. (paper). Anti-Semitism. Jerusalem: Keter Books. 1974. “Map of Jewish expulsions and resettlement areas in Europe”. Florida Center for Instructional Technology, College of Education, University of South Florida. A Teacher’s Guide to the Holocaust. Retrieved 24 December 2012. Wood, Christopher S., Albrecht Altdorfer and the Origins of Landscape, p. 251, 1993, Reaktion Books, London. Johnson, Paul. A History of the Jews, HarperCollins Publishers, 1987, p.242. Luther, Martin. D. Martin Luthers Werke: kritische Gesamtausgabe, Weimar: Hermann Böhlaus Nachfolger, 1920, Vol. 51, p. 195. This entry was posted in History, Jewish, Jews, Medieval, Middle Ages. Bookmark the permalink.